Friendships, and social causes meant a lot to the Queen, who served as a driver and a mechanic with the Women’s Auxiliary Service during the Second World War. It is in this same spirit that the queen continues to visit various parts of the world. 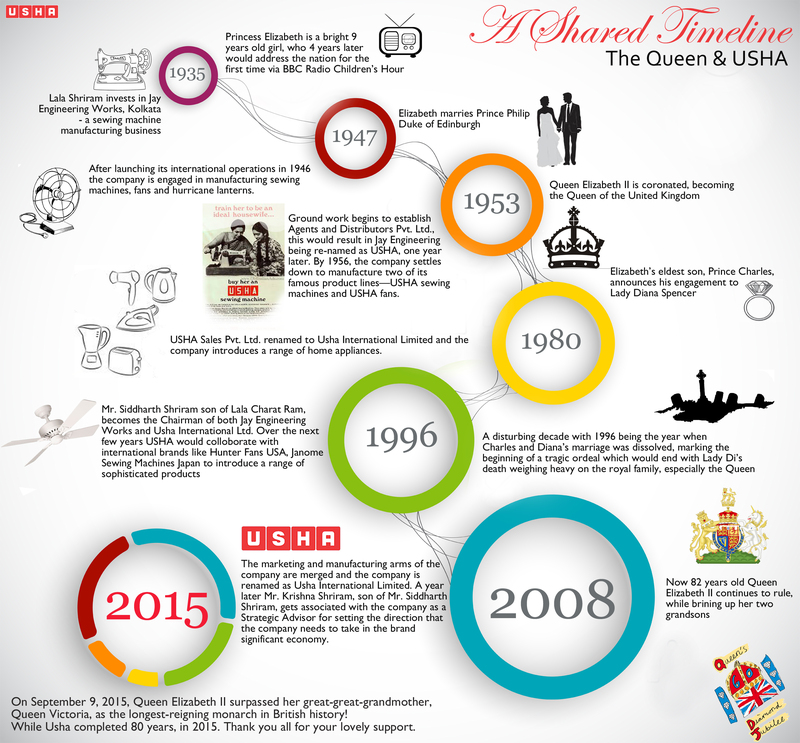 During one such tour, the Queen found herself at the Usha Sewing Machine factory in Sri Lanka. A moment of pride at Usha where we continue to take inspiration from the encouraging words shared by her. Our paths have often merged in the past and will continue to merge in the future. Standing at the crossroads of history, we take a nostalgic look back between the folds of time.